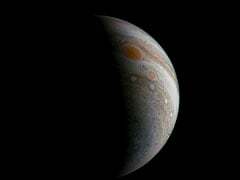 Miami, United States: An unmanned NASA spacecraft is about to fly over a massive storm raging on Jupiter, in a long-awaited a journey that could shed new light on the forces driving the planet's Great Red Spot. Juno, which earlier this month marked its first year in orbit of the gas giant, will offer "humanity's first up-close and personal view of the gigantic feature," NASA said in a statement. Equipped with instruments that can penetrate clouds to measure how deep the roots of this storm go, scientists hope to learn more about the workings of the raging tempest. All eight of Juno's instruments, including its camera, will be on when the spacecraft passes about 5,600 miles (9,000 kilometers) above the Giant Red Spot clouds, NASA said. Juno launched from Cape Canaveral, Florida in August, 2011, on a mission to learn more about Jupiter's origins, structure, atmosphere and magnetosphere.